The tumultuous life of David Crosby can (and has) filled entire books. But when I sat down with Crosby, I wanted focus on the good stuff: Crosby’s guitar collection, the stellar music he’s created (including the forward-thinking solo record he released, If I Could Only Remember My Name) and the diverse folk influences he had growing up. 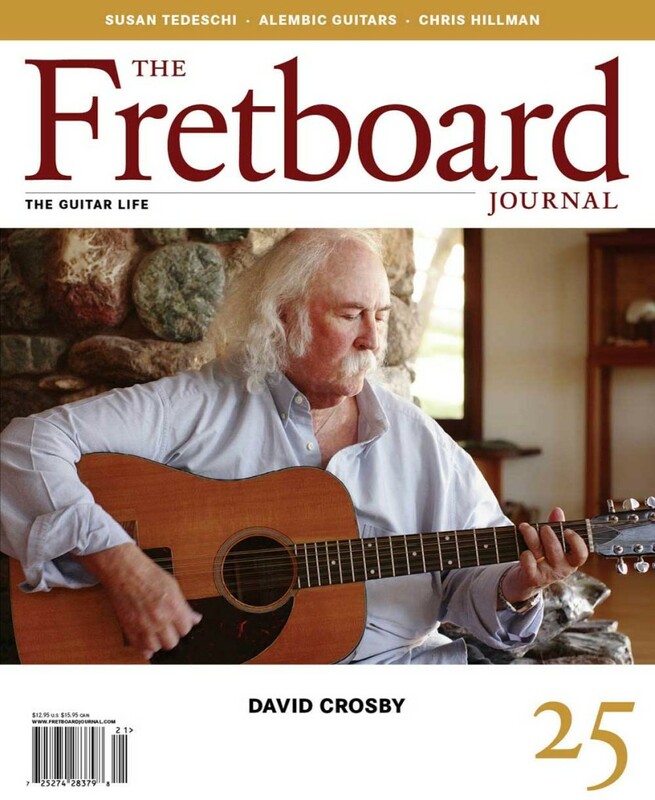 We’re happy to announce that Crosby graces the cover of our 25th issue of the Fretboard Journal and also serves as our debut “guest editor.” We asked the legend for some of his favorite guitar stories and included them in this issue. 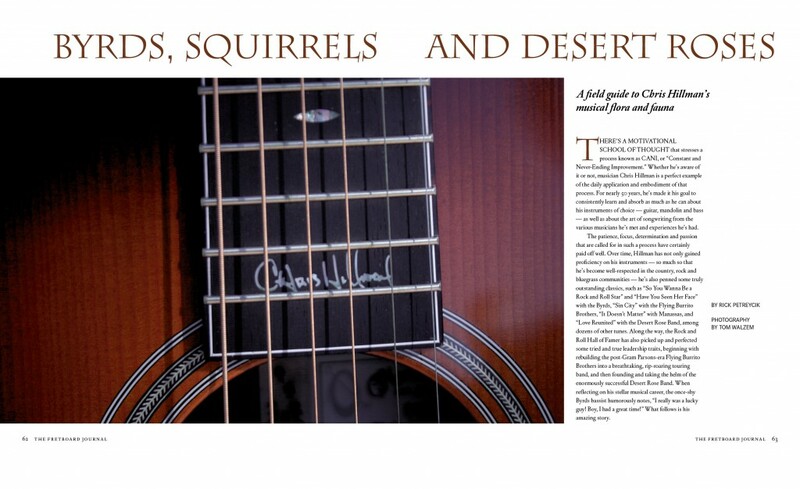 Among the stories included: a glimpse of the early days of Alembic Guitars and Rick Turner (including the birth of Crosby’s electric 12-string) in a never-before-seen photo essay from Gary Somberg; interviews with Chris Hillman and Marcus Eaton and much more. Beyond Crosby’s selections, look for a gorgeous pictorial of the Roberto-Venn School of Luthery, where tomorrow’s guitar building legends are being taught; a lengthy interview with blues great Susan Tedeschi; a conversation with old-time banjo maker Kevin Enoch and a lot more. As always, this 128 page, keepsake journal focuses on the musical instrument world’s best stories and photography. It’s a must-have for fellow guitar nuts. 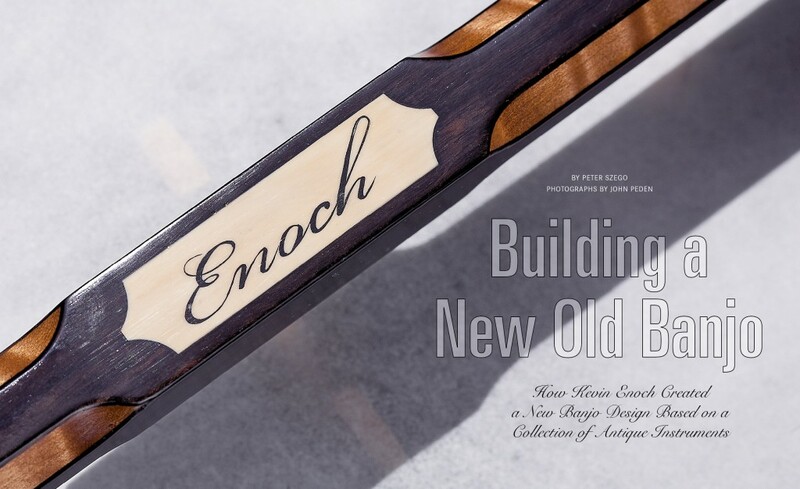 Master banjo builder Kevin Enoch makes his mark with modern interpretations of classic open-back, Minstrel-era banjos. In this roundtable discussion, banjo expert Peter Szego talks shop with Enoch and fellow builder Pete Ross. Photographer John Peden captures the beauty and details of these exquisite instruments. 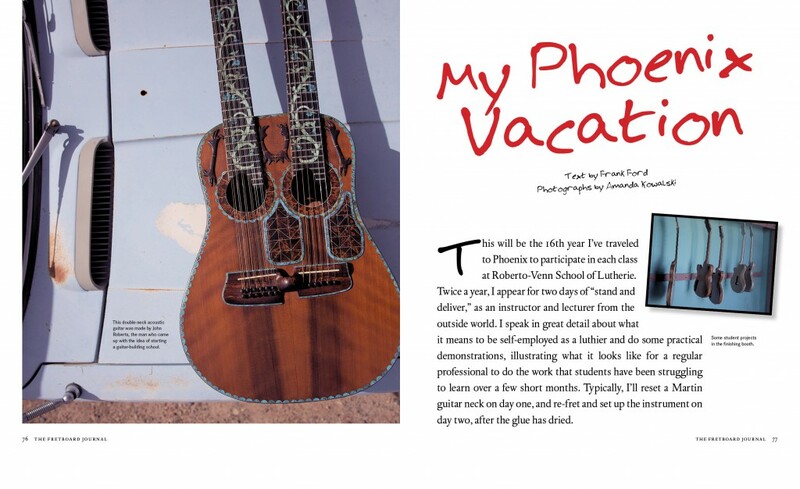 Noted luthier Frank Ford walks us through the Roberto-Venn School of Lutherie in Phoenix, where some of the greatest future guitar makers are being taught today. Photographer Amanda Kowalski showcases the funky, yet functional school campus. Roberto-Venn is one of the only fully accredited schools of its kind and its graduates include some of the best-known individual luthiers working today. Find out why. For a half a century, Chris Hillman has been putting in his “10,000 hours,” dividing his time between the guitar, mandolin and bass. A troubadour of the folk rock movement, Hillman has played in the Byrds, the Flying Burrito Brothers, Manassas and the Desert Rose Band. In this lengthy feature (part of Crosby-edited issue), Hillman talks about the evolution of his prolific musical journey, the people he worked with along the way and the eventual return to his passion for acoustic-based traditional country and folk. 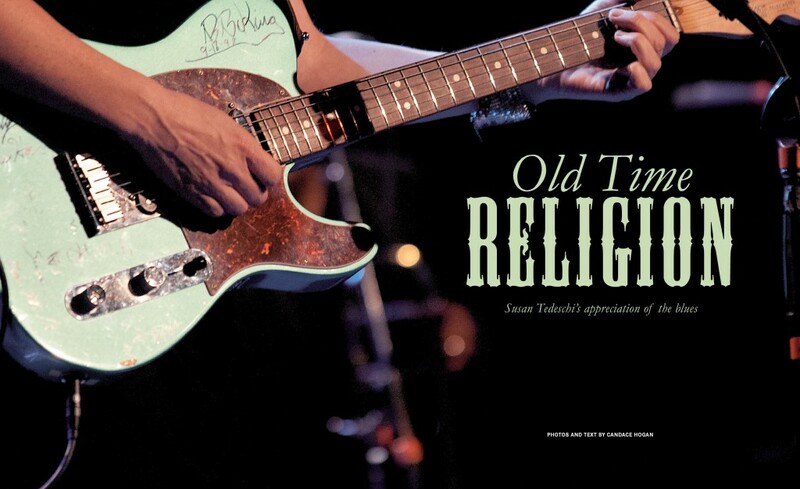 As a child raised in the Catholic tradition, Susan Tedeschi’s questions on faith got her in trouble, so she penned them into songs which eventually led her to the music she was looking for. With her soaring vocals at the helm, The Tedeschi Trucks Band’s album Revelator was nominated for a Grammy award for best blues album. Tedeschi takes some time out of a busy tour to talk about her Boston roots, her iconic teal Fender Telecaster and songwriting with Gary Louris of the Jayhawks.